You just want to ride, and we just want to help. 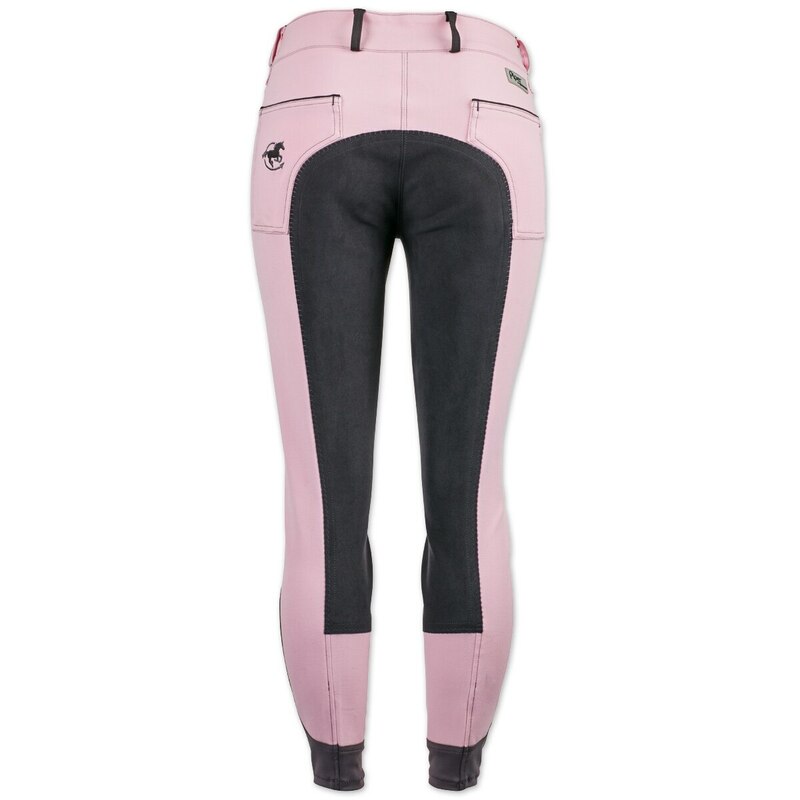 That’s why we’re raising awareness for breast cancer and donating 30% of the retail sales price of these limited-edition breeches directly to the Susan G. Komen® Breast Cancer Foundation. Show off your style (and your support!) 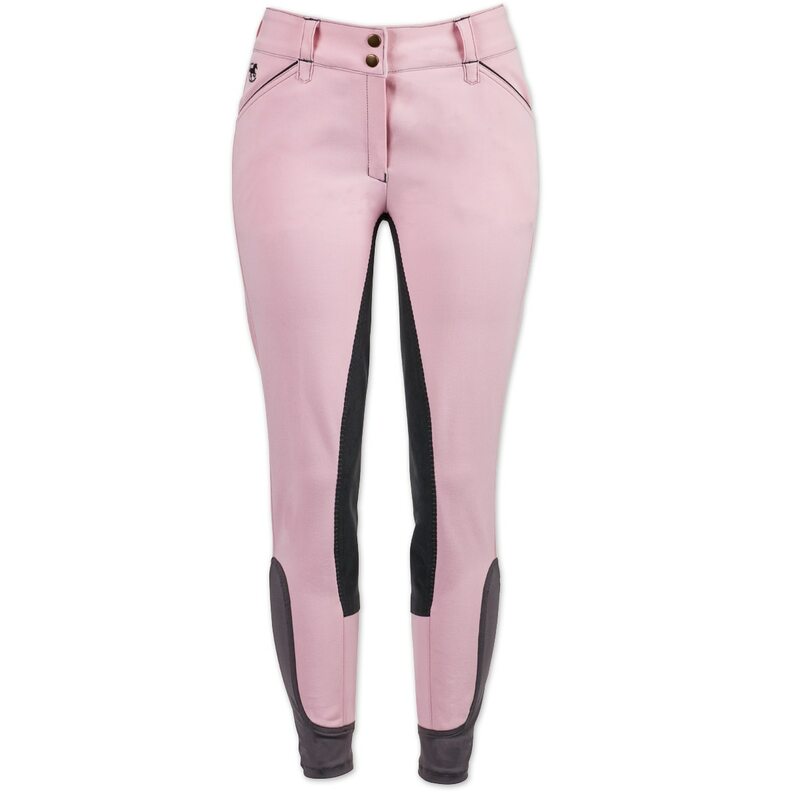 with these exclusive pink Piper Breeches. Figure flattering design elements like a wide, contoured waistband that eliminates gapping mean you’ll look great in the ring and around the barn. You’ll feel as good as you look in the comfortable, four-way stretch fabric that moves with you in the saddle. Plus, a synthetic full seat gives you the perfect combination of grip and stretch. Because we know that bunched breeches under boots can be super annoying, we’ve included an ergonomic elastic sock bottom that provides a streamlined, comfortable fit. Four pockets, including modern, jeans-style rear pockets, give you plenty of storage and can even accommodate most cell phones. Finally, these breeches are as easy to care for as they are to wear – just throw them in the wash and hang to dry. From October 1, 2018 to February 28, 2019, SmartPak Equine LLC will donate to Susan G. Komen® 30% of the retail sales price for each product sold. Susan G. Komen®'s mission is to save lives by meeting the most critical needs in our communities and investing in breakthrough research to prevent and cure breast cancer. For more information please contact Susan G. Komen® at 5005 LBJ Freeway, Suite 526, Dallas, Texas, 75244 or visit www.komen.org. 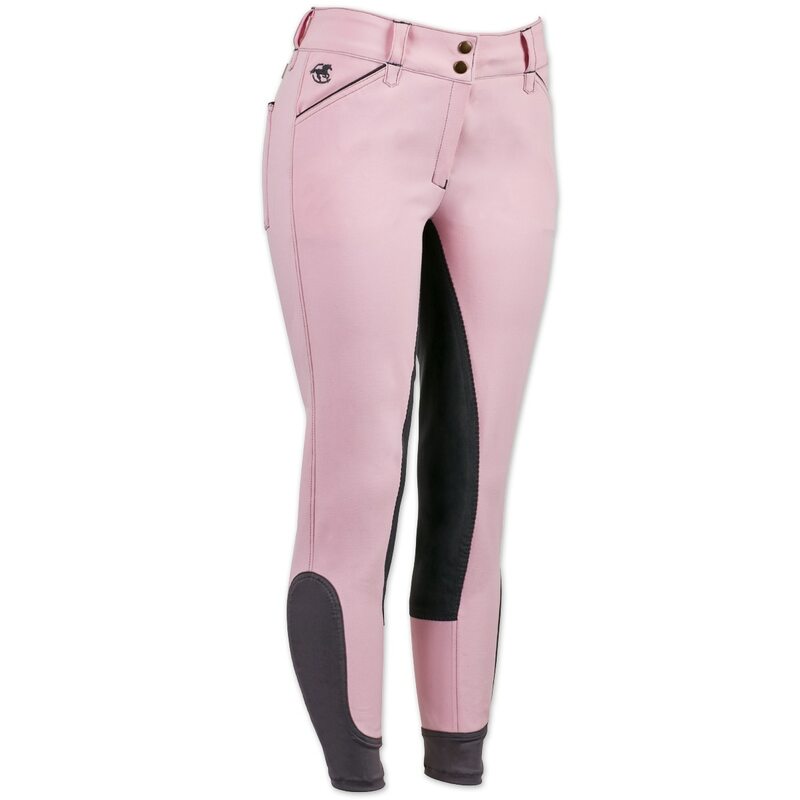 Piper Breeches by SmartPak- Breast Cancer Awareness Full Seat is rated 4.3 out of 5 by 7. Rated 4 out of 5 by GoldieEQ from Pretty nice Really nice colors, a bit stiff when you wear them for the first time but super nice. Rated 5 out of 5 by Evanh from In the Pink Flattering shade of pink that is complemented by the gray full seat. Rated 5 out of 5 by Mare Mom from Pink Pipers!!! Love these pants! Prettier in person than the photo. Nice medium pink. Fit true to Piper pants. I usually wear an 8-10 in pants, these I got a size 30 and was perfect. Got a pair for my daughter as well! Love SmartPak! Rated 3 out of 5 by alsvidur from Same great Pipers, but... ...they are almost see-through! Be careful about what color underwear you wear with these; dark or bold prints will show. I've never had that problem with other colors of Piper, but I am so glad I looked in the mirror on the way out that first time! Rated 3 out of 5 by High Hat from Loved the color This is the first pair of Pipers I've ever tried. While the color was great the breeches themsleves were just 'clunky'. The fabric was very thick the full seat was not stretchy and the crotch seam was in the wrong place for comfort. I do think they are sized correctly. I ordered both the 28 and 30 in case this wasn't true but I normally wear a size 28 and that one fit perfectly. Rated 5 out of 5 by Cami from My new favorites!! Perfect shade of pink with the same piper comfy fit!